37% of marketers report visual marketing as the most important form of content for their business; Nearly every wedding you attend has a photographer present; Instagram stars claim to make millions posting photos of their lifestyle — photography can be a lucrative profession with many opportunities. As a photographer, there are millions of potential chances to gain leads and get clients in the online world. But to have any hope of reaching them, you need a digital presence. Your blog is the perfect medium to achieve this goal. By regularly posting image-based content that will appeal to your audience, you can ensure you get a steady stream of traffic to your site — people interested in the particular style or aesthetic only you can create. But what should you share to generate an audience? 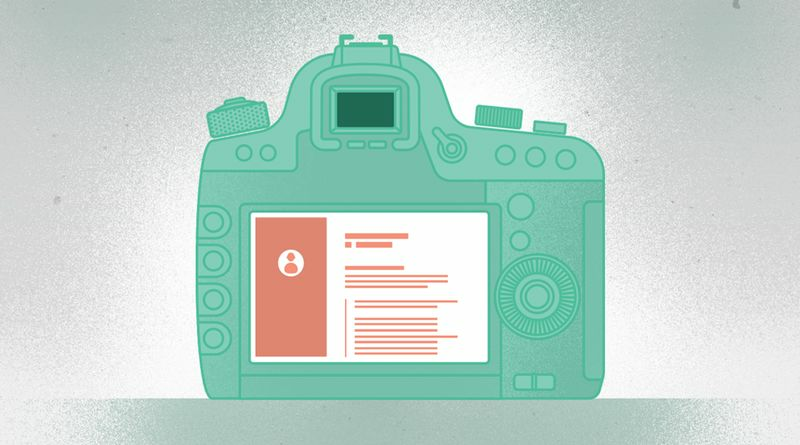 In this post, we give you 7 creative blog post ideas for photographers. Boost your reputation and your professional standing with a unique photoblog that people will love to share. “you think your pain and your heartbreak are unprecedented in the history of the world, but then you read. It was books that taught me that the things that tormented me most were the very things that connected me with all the people who were alive, who had ever been alive." Seeing the everyday struggles of others can play the moral purpose of bringing us closer together and motivating people into action to help those more in need than ourselves. But people love to hear about people - the lives we all lead and the extremes of culture. Highlight people’s stories and use your photos to bring out the best in them. It could mean your blog not only provides entertainment but makes a positive contribution. 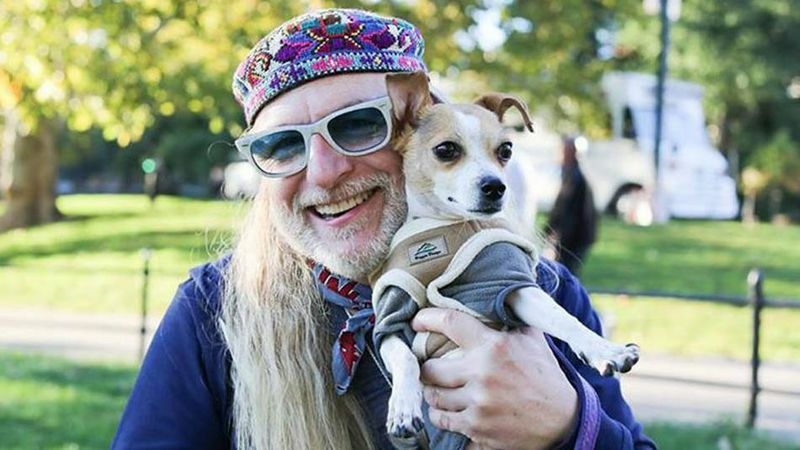 Brandon Stanton started the Humans of New York project in 2009, with an aim to “photograph 10,000 New Yorkers on the street, and create an exhaustive catalog of the city’s inhabitants." After photographing and interviewing thousands of subjects, Stanton’s blog now has over 18 million followers on Facebook; His book of New York photos spent 31 weeks on the New York Times Bestseller list. Use your photoblog to do some good as well as entertain and educate your visitors. Who are the people following photography blogs? Of course, they are people who “like photography." But what other interests do they have? There is a good chance many who choose to follow your photo-blog not only have a generic appreciation for the photographed world but also in getting behind the camera. Show them you are a photographer worth watching, worth tracking, worth networking with. “you must have a detailed picture of your target audience, in order to create optimal and helpful content types for it." Consider the photography students, the amateur photographers, your network of photographer friends, and give them content that educates with positive impact. No one does this better than Felix Hernandez, who, in his Dream Photography series, shares behind-the-scenes images revealing the secrets of his tiny, fantastical visual worlds. Using figurines, lighting, puppetry, and just about anything else he can find, Hernandez creates stunning miniature setups to photograph. Behind-the-scenes photos documenting the design of these setups show the contrast between the world of the artist and the world he creates, making them almost as intriguing as the published photos themselves. The exclusive “backstage" view also provides highly sought out insights on creative praxis, hitting this segment of the photography blog audience niche. Within every area of concern, important public events punctuate the social calendar. The power of real-time social engagement and “live" content have shown us that in 2018, no one wants to miss out. In every area of specialism, people need to keep up with the latest news and happenings. As a photographer, you probably have a niche (or a few) — the subject-types and situations you primarily photograph, whether out of interest or for your career. 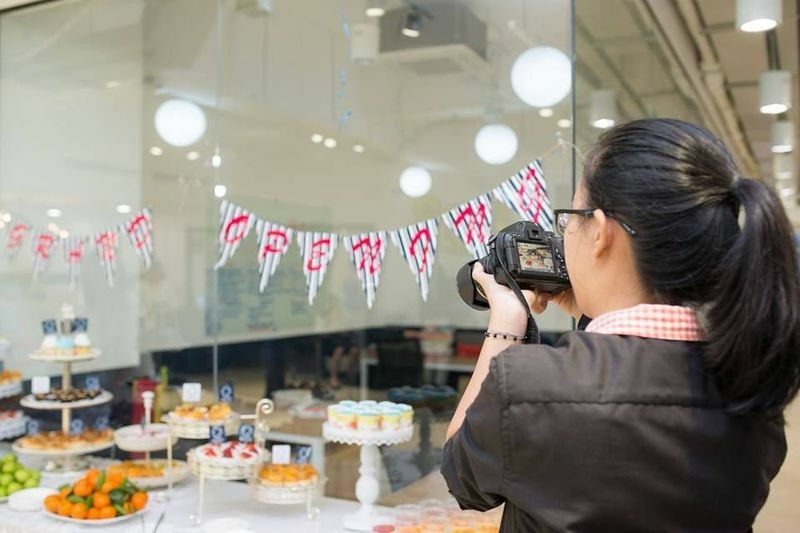 Whatever type of photos you capture, visiting the most important events on your audience’s calendar and documenting them (with style) can put you on its radar. We had some budding business photographers visit our offices recently for a digital industry event. Though they were paid for their time, they reaped massive rewards in terms of contacts. Their photos were tagged and shared on social media by some of the most influential people within digital industry. In turn, their photos were seen and liked by thousands of influential friends and followers. Collecting images of important events on your audience’s calendar can also make your blog the go-to documentation for everyone who did not attend. More than this, if you take the best pictures, any subsequent news coverage of the event may use your photos in their publications, giving you even more exposure. Photo-recreations of old photos can gain a lot of traction on social media. They capture the imagination because not only can they be humorous and entertaining, they show the pure craft of being a photographer. “art from the past holds clues to life in the past. By looking at a work of art's symbolism, colors, and materials, we can learn about the culture that produced it." Recreating the work of your favorite photographers and photos can help you understand more about your practice and about the photos and photographers you appreciate. 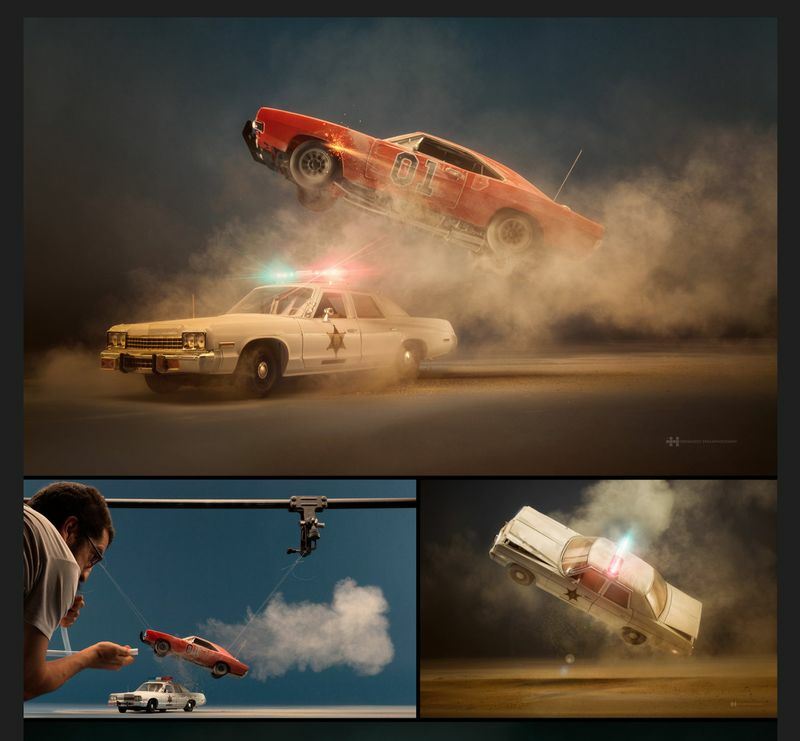 In designing and creating these re-enactments, no doubt, you will also learn something new about lighting, perspective, or depth, of which you weren’t previously aware. An artist who shows they know the history of their craft well will not only be a better artist but will be perceived as wiser and more skilled. Your recreations could be wholly serious, or wholly entertaining, depending on your audience. We loved witnessing the evolution of Sandro Miller’s photography through his novelty recreations in which original subjects are replaced with actor John Malkovich. This is an amazing example of how recreations can exhibit both skill and humor. Miller’s images were completed without the use of Photoshop, yet the lighting, coloring, and perspective are almost a perfect match. 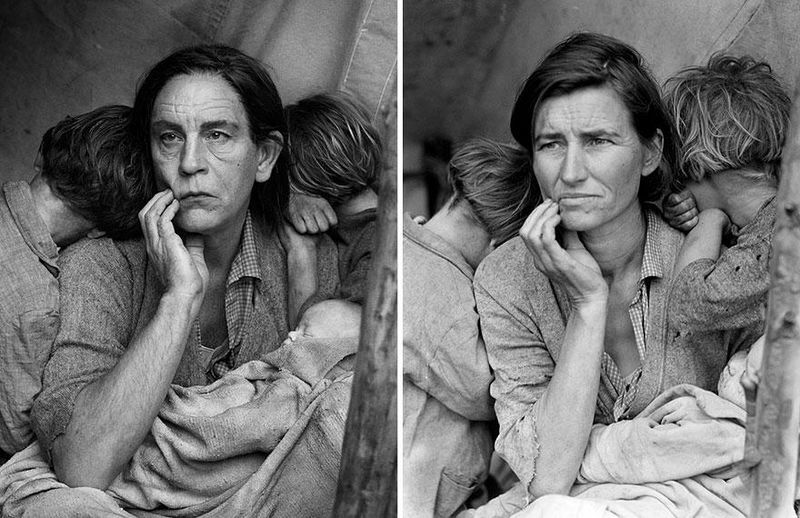 Malkovich’s highly recognizable profile even takes a couple of seconds to notice because these photos are so breathtakingly similar to the originals. Contrasting humor with shows of skill in this way can make for highly shareable photo-based content. There are now so many photography blogs because it is easy for anyone to take photos and upload them using a mobile device. As a professional photographer, you need to separate yourself from the amateur crowd. Photo blogging a “day in the life" or a “photo every day" can be an excellent way to show your followers how hard you work, how much of a personality you are, and how in demand you are as a photographer. This is one of the best ways to bolster your perceived authority and professionalism. One of the ways the big Instagram influencers succeed is by portraying the story of the lifestyle their followers want to lead. Posts that tell your personal story can help to introduce potential leads to you and your work in an honest and upfront manner, yet also show you fit their stereotype of the life that a successful photographer leads. You could even switch it up and tell your story through video. The likelihood is that if you are a photographer, you dabble in a little videography too. According to studies, video marketers get 66% more qualified leads each year. That’s a massive boost. The video above, posted on the Popular Photography blog, documents a “day in the life" of music-portrait photographer Gretchen Robinette. Through a mix of still and moving images, it tells the story of a life packed with exciting adventures, cool locations, hard work, and other creative people. This is the perspective your followers need to see - you are an in-demand public persona as well as an innovative and diligent creative. Separate yourself from the crowd. Show them this is no hobby. For you, photography is life - that’s why you’re the expert. “Before-and-after" photos can connect people to history in an immediate and highly evocative manner. We are creatures of habit. When we get to know a city or town, we use the routes we have learned again and again, as well as the landmarks that point us through them. But often we forget many of these landmarks, streets, and buildings have rich histories. Scenes from only ten years ago can appear entirely different to their contemporary counterparts. Photoblog posts comparing past photos with current ones taken from the same perspective give us a view through history. They enable our minds to travel back to how things were before, connecting us to our own sense of place, in a way that makes us more aware of the past. Entertainment blogs such as Buzzfeed, Bored Panda, and George Takei often share this type of “before-and-after" content. But with your skills as a photographer, you can make your photos even better. 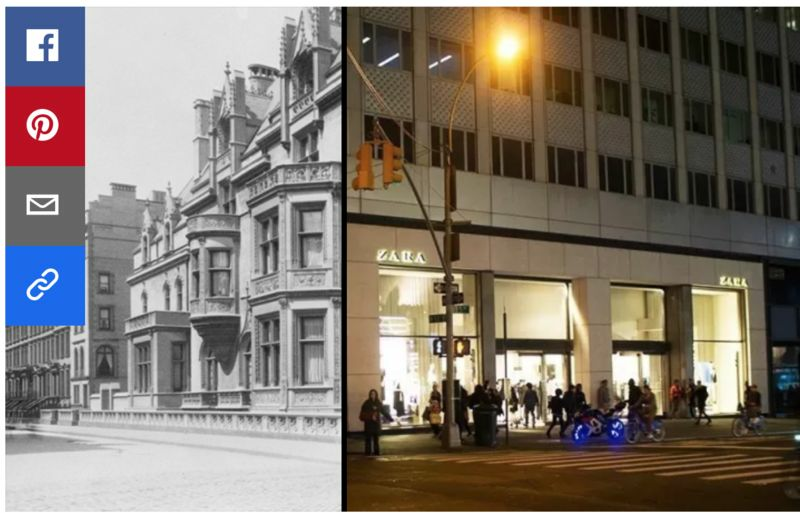 The example below, from Buzzfeed, makes clear the contrast between Victorian-era New York and the modernization of the millennial city. Because “before-and-after" posts can educate, entertain, and are often concentrated around a particular location, they can help people to find you that typically may not. This does not just mean “historians." Anyone with ties to the places you explore through your pictures could take an interest in your “now and then" series. It can be a great way to build a presence online within your local community, especially if you live in a small town which is lacking in this type of historical image-based content. Observational comedy isn’t just for comedians. As a photographer, it is your job to observe. And there are so many entertaining and heartwarming accidents and happenings every day, if only you had a camera. Well, as a photographer, you should. Look out for funny or revealing situations that reflect social foibles, cultural awkwardness, and the weird things we all do and see on a daily basis - and snap them. To quote the cliché maxim — a picture can be “worth a thousand words." Show you can reveal more about the human condition with a picture than a whole library of history books. Document the weird, the unusual, and the uncanny aspects of life in our contemporary world. And you don’t just have to focus on people. One of our favorite “observational comedy" photo-blogs on the net comes from the home of left-of-field photo-feeds - Tumblr. 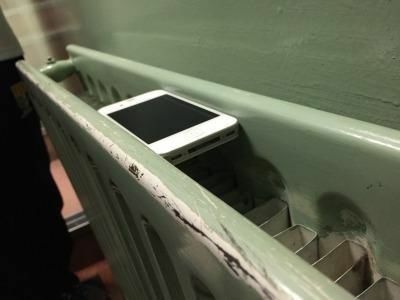 Things Fitting Perfectly Into Other Things (TFPIOT) is a blog focused solely on what it says — “totally unrelated objects" nestled inside each other. Whether you call the photos hilarious, intriguing, conceptually avant-garde, or a mix of all three, each photo reflects the modicum of happiness that arises when this slightly rare, yet not at all uncommon occurrence, happens to us. If you can post photos that hit at the core of mutual themes throughout contemporary culture, you can appeal to the “every-person," the general lover of life and photography - TFPIOT did. By sharing photos of situations previously unexplored in visual art, they hit on a niche with a tangible and entertaining relation to everyday living. Coming up with a great idea is the first step to becoming a successful photo-blogger. You then need to commit to that idea, run with it, and maintain it. Whatever you do decide to post about, learn from the examples of the photography blogs ideas we’ve covered. They show that regularly posting series of photos exploring a single theme or idea over time, as opposed to a whole series of photos en masse, is how you forge your brand as a blogging photographer. So even if you take a whole series photos of photos in a single session, make sure you stagger your posts for maximum appeal. Defining yourself through your art (having a concept) is essential because people will remember you if you’re blog is unique. This is what they ultimately want to see in your photography when they are thinking about hiring you as a brand. They want to see high standards and professionalism, of course. But they are looking for a photographer they can get excited about - one with originality, authenticity, and flair. Choose your theme carefully and ensure you maintain your blog by regularly posting photos that adhere to this signature style. Use the ideas in this guide as starting points - springboards from which you may leap to photography success. And use your creativity, your cunning, and your camera to get snapping!